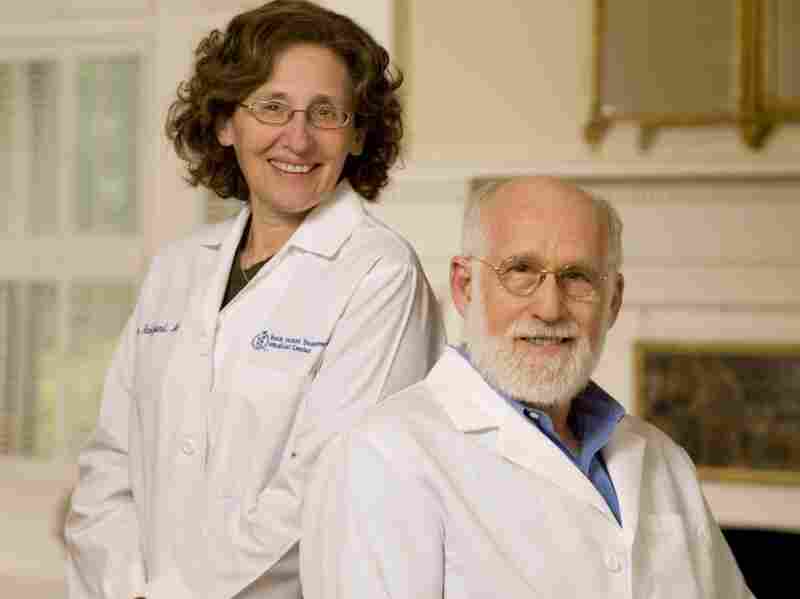 A Book That Will Change 'Your Medical Mind' Husband and wife doctor team Jerome Groopman and Pamela Hartzband have joined forces to help patients navigate the daunting and dysfunctional world of medicine. Doctors must be more patient, they say, and patients, better informed. Even the youngest among us have had to make difficult medical decisions. Perhaps we've had to choose between two doctors with very different opinions, or decide whether to treat a condition with a pill or with diet, exercise and natural remedies. Some of us have had to make even bigger decisions and help loved ones do the same. In a country where medical treatment is seldom free and often expensive, deciding how to treat a health condition can be nearly as taxing as the condition itself. Adding to the pressure is the fact that many of us are seen by doctors who don't have the time to properly help us weigh our options. This complex and often exasperating reality is the driving force behind Your Medical Mind, a collaboration between Jerome Groopman, the oncologist, New Yorker staff writer and author of the 2008 best-seller How Doctors Think, and his wife Pamela Hartzband, an endocrinologist and equally sharp observer of the medical world. The quest of this conscientious pair is to shed more light on how our minds approach medicine and, using real patients' stories, to help us make appropriate choices when it's demanded of us. 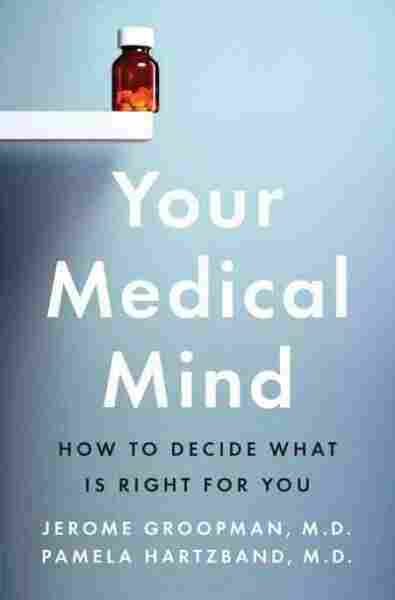 Part psychological study and part self-help book, Your Medical Mind doesn't provide answers but, rather, insights into navigating the increasingly daunting and dysfunctional world of medicine. The authors frame each chapter around one patient, each of whom is facing a strikingly different diagnosis. For example, Susan Powell has high blood pressure; Patrick Baptiste, diabetes and the thyroid condition Graves' disease; Mary Quinn, biliary cancer; and Paul Peterson, a muscle disease called polymyositis. Elements of their frustration-filled stories will likely be familiar to readers, a reality both reassuring and disconcerting. Peterson, for example, found that doctors were "repeatedly failing to come up with my diagnosis," though to do so would have only required "a simple blood test." Peterson and Quinn are confronted with the inescapable protocol of hospitals so concerned with efficiency that it causes nearly every step of treatment to be standardized and formalized. Husband and wife team Jerome Groopman and Pamela Hartzband collaborated on Your Medical Mind. Hartzband is an endocrinologist. Groopman is an oncologist, New Yorker staff writer and author of How Doctors Think. Groopman and Hartzband highlight the rigidity of the medical community because they want to improve it. As was the case with How Doctors Think, Your Medical Mind should prove as useful to MDs and medical students as it is to patients. The authors' own philosophy is borrowed from the early 20th-century physician Sir William Osler, who believed that "when trying to unravel a complex medical diagnosis, you should listen carefully to the patient, because he is telling you the answer." In other words, Groopman and Hartzband's desire is for doctors to be more patient, and for patients — whom the authors broadly categorized as either "doubters" or "believers" — to be better informed. In reality, we as patients cover a wide spectrum, and our place on that spectrum might change depending on what we're being treated for. In a chapter focused on prostate cancer survivor Matt Conlin, Groopman and Hartzband suggest that where cancer and other serious illnesses are involved, skeptics often become believers. Conlin certainly had faith in medicine, but that only got him so far. He ended up speaking "with 20 different physicians expert in the field of prostate cancer" before choosing a treatment option. Indeed, our role as patient can and should often feel like a job, even if it's a frustrating one. We are dealing with an "uncertain science," as the authors call medicine, in a situation where an "exact science" would be so much more helpful. Certainly, Groopman and Hartzband would hate to see medicine into "mathematics." In their refreshing view, the individuality of the patient should be valued above all else, and embracing the vagaries of medicine, rather than trying to standardize it, is the key to better treatment and better health.